The mobile app development market has grown substantially over the years and as per industry experts, it is showing no sign of slowing down in future.Today, 80% of internet users own mobile phones and it is no wonder why well-established companies and talented entrepreneurs are looking forward to have great mobile apps and this has increased the demand for mobile app development companies like Appinventiv. If you are new to the mobile app market or planning to make a leap into it or you already have an amazing app idea, the first question is likely to be profit related. If you are looking forward to develop a great android app, then there is nothing wrong in saying that a sleek app will take huge amount of time as well as effort and you definitely want all this work to be rewarded. However, not every app gets immediate traction and only some generate revenue. According to the latest study, android app development is not financially rewarding for most of the developers, whereas 67% are not making enough money to sustain the business. The solution to this problem is to come up with ways that can help you in making money from mobile app development. When you develop a mobile app then you can set in-app purchases, which can be used to give your users the ability to unlock features in your app, buy in-game currency, unlock in-app items, access special characters and many more. Payments are handled by the app store and the percentage of the revenue is taken from each IAP. Talking about the year 2016, click-through rates on mobile ads for android devices increased three times from the previous year. Hence, app developers can place and prioritize user relevant advertising in their apps, linking users directly to their offerings. It is believed that mobile app advertising will increase in the coming days as marketers look for new new ways to connect with their esteemed consumers. Mobile app developers can offer their applications for free, but can deny access to premium services as well as tools. The benefit of freemium app is that it removes a lot of friction from the download version. In most of the cases, it is seen that people are afraid of downloading paid app because they are not aware of what they will get. However, such app will eradicate this situation and can help a user in becoming a paying customer. This model works best in mobile apps that includes fresh content on a regular basis. You can allow app users to pay a regular subscription fee in order to unlock all of the features of the app. Google offers subscription through its platform, which means that it handles the payment from users and gives your share to you. One of the most simple ways of making money from mobile app development is to offer a small version of your app for free and give your users the chance to unlock the better and full version with enhancements by paying some money. 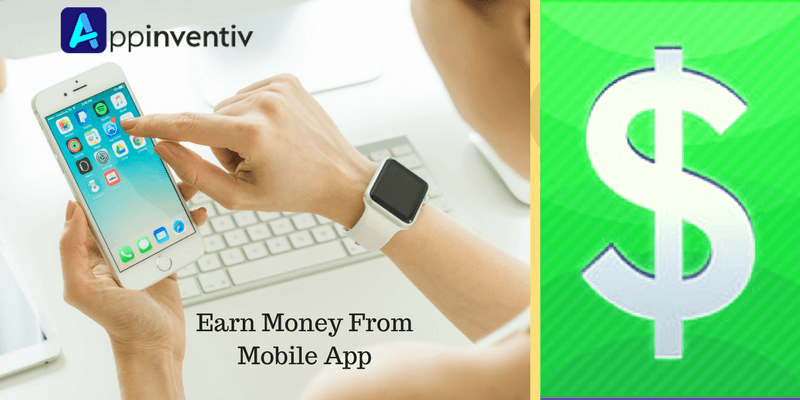 You simply need to develop two apps, one free and a better one that is pay for. All the aforesaid ways can help you in making money from mobile app development. So, just try few methods so as to find the best one for your app. On the other hand, whatever strategy you implement, there is a need to monitor it so as to make sure that your assumptions are right.